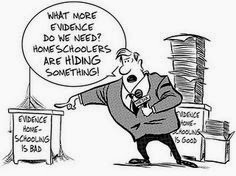 If you live in Ohio and homeschool your children, you may soon be subjected to intrusive background checks and investigations, courtesy of social services. Parents and children would have to be interviewed separately as part of the investigation. The information gathered during the interviews and though background checks would be used to determine whether or not homeschooling is recommended for a family. If it is not recommended, parents would have to submit to an “intervention” before further consideration of their request to homeschool.